There's something magical about being around smart, ambitious people, all working under the same roof. Add in super fast WiFi speeds & great amenities, and watch your productivity soar. Send a Message Ask a question about meeting rooms, event space, amenities or anything else. Get a Day Pass / Free Day Pass Try working from a coworking space for a day to see if it's the right fit for you. Book a Tour Don't drop in unannounced! Schedule a tour so they're expecting you when you arrive. Membership Request Think you've found the right space and want to join? Send a Membership Request. Availability / Reservation Request As close as you can get to instant bookings: select the membership type, start date & duration you want then send an Availability Request. Claim your space if it has been added by a community member (it's free!). coworking spaces in 164 countries. "A Business Eco-System for Entrepreneurs & Small Businesses "
"Good place to work in. People are very helpful! " "Amazing Space to be in!" "By far the best co-working place in Paphos and an AMAZING communi..."
"Great service and lovely terrace! " 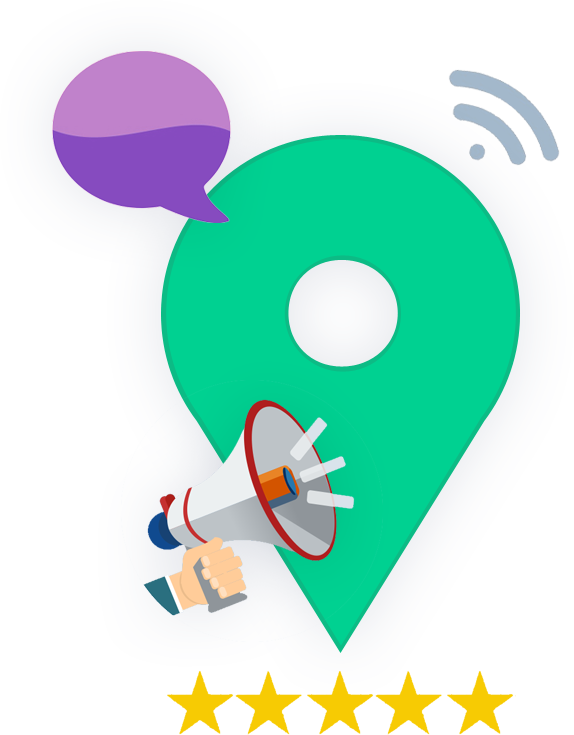 "Crème de la Crème of Tartu coworking spaces"
"The hive coffee and events"
"Được sự giới thiệu của bạn bè ở Đà Nẵng, đ�..."
"Great vibe and loads of activities"
"Great place + great staff = Awesome!" "Lovely place to spend a few month with an awesome community." "Brilliant co-working space located strategically with great vibes..."
"Nice coworking space in the cbd! " "One of Hong Kong's best co-work spaces, highly recommended." "Best Work-Life Balance in 1 Place!" "Gem in this big city"
"Wonderful, welcoming community of highly motivated people"
"Cosy coworking for effective work session." "Awesome place for start-ups and students!" "Great executive coworking community and perf3ct meeting spaces fo..."
"El mejor coworking de Sambo"
"Confortable & Cool place to work! " "Best office space in Costa Rica"
"Wonderful place to work "
"Nice place, good value and no problems." "Very cool place for working!!" "Good price and very good location"
"The best time at the best working space in Bangkok!" "Very cool and quiet place with amazing sea/island view!" "Great place for working and socialising"
"Serenity with all the amenities"
"These guys know how to build a coworking space and build a commun..."
"Still miss this office and it’s great co-workers!" "Best place on the island for comfortable work!" "my favorite place for work and creativity ❤️ fast internet! d..."
"Big thanks to the Genesis"
"Loved the place, loved the people"
"Quiet coworking and friendly staff"
"Visual nice working place with hopefully more to come"
"Calm and quiet, better than working from a coffee shop." "Coworking space in a hotel lobby with a pool used by hotel guests..."
"Use your trial pass for a full day of fun - office hours, water p..."
"Friendly and family space ! " "Horrible customer service!! Be aware!!" We had a problem. We built Coworker to solve it. We've been members of coworking spaces for years. And it annoyed us that every time we moved to a new city or country, it would take us at least 3 days to create a shortlist of coworking spaces that looked right for us. After a frustrating experience trying to find a coworking space in Hong Kong which was solved by a friend's recommendation (thanks Celeste for telling us how great Garage Society is!) we began wondering why there wasn't a global platform for coworking space reviews. 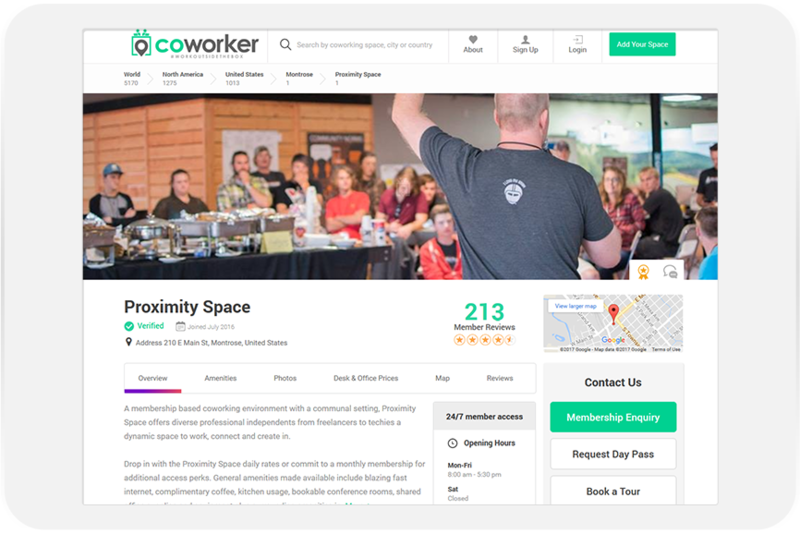 Since launching in October 2015, Coworker has grown to become the world's largest platform to find & connect with coworking spaces in 164 countries, with thousands of member reviews collected. Over 100,000 people now use Coworker each month to find a coworking space. All of us here on our (growing) team are excited to be part of this incredible industry and help people join the communities that will take their lives & businesses to the next level. 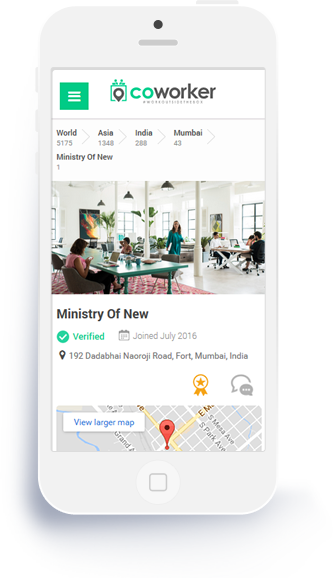 Claim your space for free to get verified, respond to reviews, update details and much more. Our team is reviewing your application and you'll receive an email once we've confirmed your role at this space (usually in 48 hours).